I am not sure what constitutes "Thinking" at the "Thinking" Persons Guide to Autism. The above quote from "SR", Shannon Des Roches Rosa, precedes a blog comment by Carol Greenburg, a TPGA sponsored blogger at the recent IMFAR 2012 conference in Toronto. I attended IMFAR courtesy of Autism Speaks and found the conference to be an amazing experience. (Although attending courtesy of Autism Speaks my attendance still cost me considerably as I lost 3 days out of my legal practice and time I could have spent with my son Conor). "Vanquish the Forces of Autism Evil! Declare Your #AutismPride! When I hear about yet another dangerously misinformed autism parent killing their child because of autism fears, I literally fall to my knees with grief. What kind of world do we live in, if people can't bear. ........ I also blame autism organizations and websites like Age of Autism, Adventures in Autism, AnneDachel, and SafeMinds, which have made unilateral demonization of autism their mission; which do no outreach whatsoever based on building positive supports and communities; and which use calculated cult-like "us or them" mindsets, attack dog techniques, misinformation, and censorship practices to keep their almost exclusively autism parent and grandparent faithfuls' righteous indignation and self-pity at a roiling boil. It doesn't matter how much you love someone with autism -- if you continuously and publicly declare them damaged goods, you are hurting them. And their peers. And telling everyone else it is acceptable to hurt Autistics. ........this latest tragedy makes me frantic to get our TPGA book out (I'm marking up the proof right now, if there are no more hiccups with the publication process and thanks to the superhero manuscript powers of Jen Myers, it should be available in one week)." I notice that Autism Speaks wasn't mentioned on SR's "blame" list when she wrote the above comment in response to the tragedy of a mother taking her autistic child's life. Prosecutor's in that case declined to prosecute the woman because they doubted they could prove her sanity at the time she killed her child. But that didn't stop the self referenced "squidalicious" Shannon DRR from launching her bizarre rant against parents and others who view their child's autism disorder as a ......... disorder. Autism Speaks deserves to be criticized, like everyone else, on occasion. My oldest non-autistic son finds ample, and I mean ample, reason to criticize me and I actually get a kick out of it when he does. As the father of a severely autistic son with profound developmental delays I am not sure at times whether all those "thinkers" at the TPGA actually realize that, notwithstanding all their feel good buzzing about autism as an alternative way of thinking etc., autism is still a ..... disorder. I am a bit surprised that SR would identify Autism Speaks as one of the forces of evil and I am not sure why but I assume it is because AS helps fund cause oriented research which may some day result in treatments and cures for autism disorders. My own frustrations with Autism Speaks arise from their attempts to be all things to all people and in the process downplaying some of the harsher realities of those most severely affected by autism disorders. In particular I believe that Autism Speaks glosses over the strong connections between Autistic Disorder and intellectual disability. Autism Speaks has, however, been a key factor in the research area in particular; both genetics and environmental autism research, although I would like to see more emphasis on the environmental research. While I disagree with some of their decisions and directions overall I believe Autism Speaks is a positive force that does benefit autistic people, particularly in raising funds for autism research. Of course as a parent of a son with severe challenges arising from his autistic disorder, and as an unthinking person, my opinion probably doesn't count for much as a guide to autism issues. I guess it is just par for the course that if you try to please everyone you risk pleasing no one and certainly not someone who identifies so many parents and parent driven organizations as "forces of evil". I will have to start reading TPGA more closely now, not in hopes of learning anything constructive about autism disorders, but for the amusement value of seeing from day to day who SR and the TPGA have proclaimed to be not acting for the benefit of autistic people. I just do not think they understand that we really love are kids and are working so hard so they can have the best possible and healthiest life. They should just concentrate on their own issues. I was happy to see you posting from IMFAR. They need to do a lot more for medically affected kids I am sure you made an impact. Thanks! 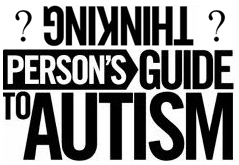 It's ironic they're called the thinking persons guide to autism. Actually neurodiversity proponents should love AS, as they gave half a million dollars to Laurent Mottron,when they complained of no autistics in positions of power, they appointed tenth grade dropout John Robison to their science advisory board where everyone else is either an M.D. or Ph.D. John Robison's influence encouraged them to fund Autism Trash TV, produced by Alex Plank who has stated that the fact I'm crippled and sick is a good thing. Sorry about the rant, hope you publish this, but im kinda frustrated now.